This new high performance alpine boot with an integrated gaiter is designed with a close-to-ground outsole, an anatomical insole with memory foam and a slingshot heel for secure foothold, comfort and rock feel. 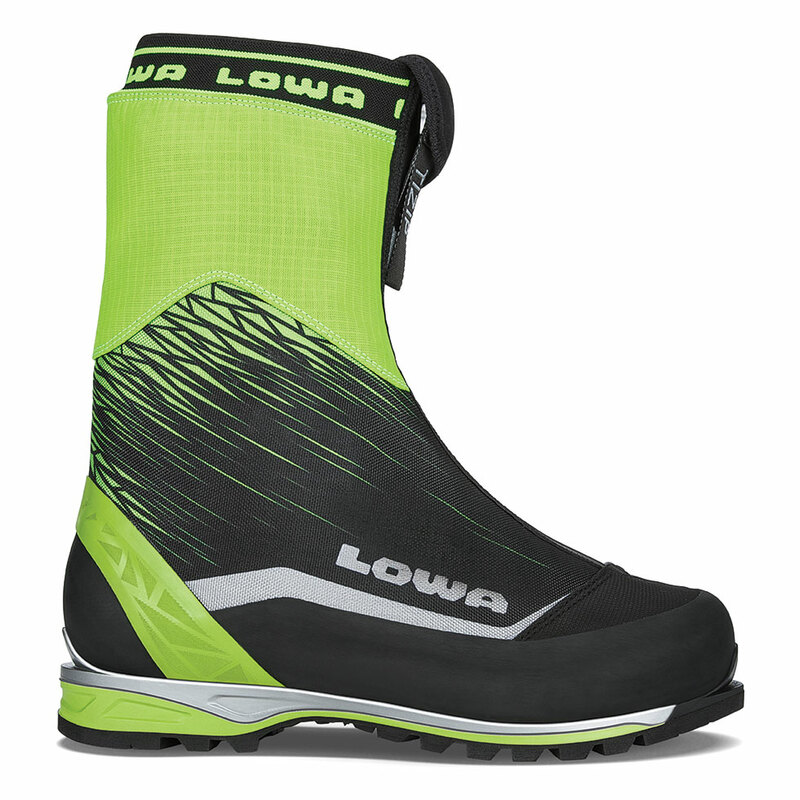 Very stiff underfoot, insulated yet extremely light in weight for a high altitude model, and automatic crampon-compatible, this is truly a “Formula One” boot for mixed climbing and expeditions. Durably waterproof/breathable.